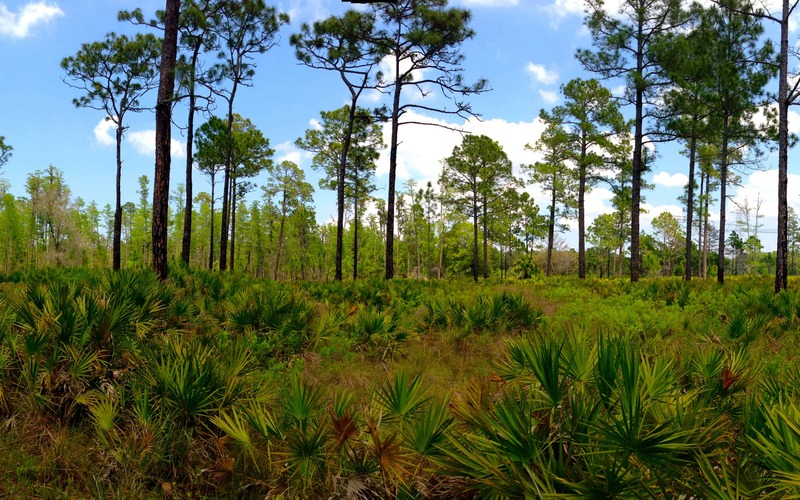 While you are visiting Heartwood, you will see two primary ecosystems, cypress wetlands and longleaf pine flatwoods. Together they work to clean the air and water and provide homes for a variety of wildlife. 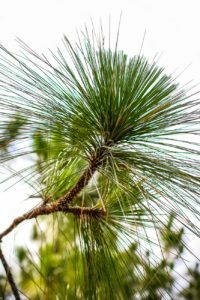 The flatwoods community is dominated by several striking characteristics: longleaf pine, wiregrass, saw palmetto, and dozens of wildflowers and small shrubs. Wildlife you may find here includes gopher tortoises, bobwhite quail, Sherman’s fox squirrel, Florida wild turkey and white-tailed deer. 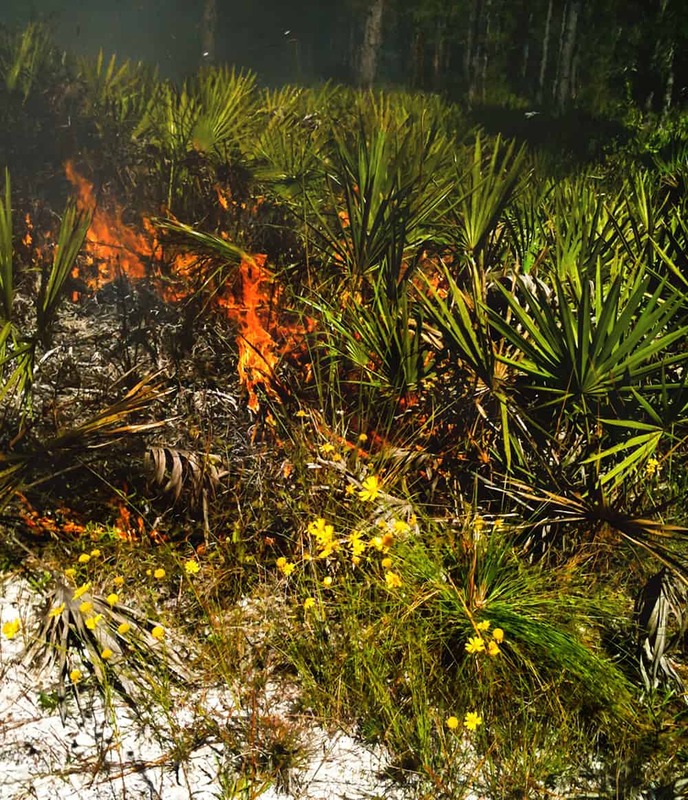 The greatest threat to a longleaf ecosystem, aside from simply paving it over, is the suppression of fire. 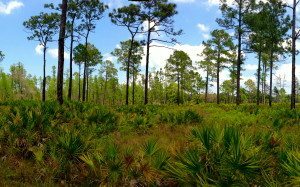 Without regular fire – about every 2 to 3 years – hardwood trees move in, palmettos grow thick and tall, the forest floor is shaded out, and the biodiversity of the ecosystem dramatically declines. Every feature of the longleaf helps it to survive fire. Flaky layers of bark serve as insulation from the flames. The height of the mature tree (from 80 to 100 feet) and its lack of lower branches keep its canopy well above most fires. Its growth stages also protect it. Saplings remain at ground level (grass stage) for about five years, as its taproot grows deep, allowing fire to pass over it safely. It then grows very quickly for the next several years until it reaches maturity. 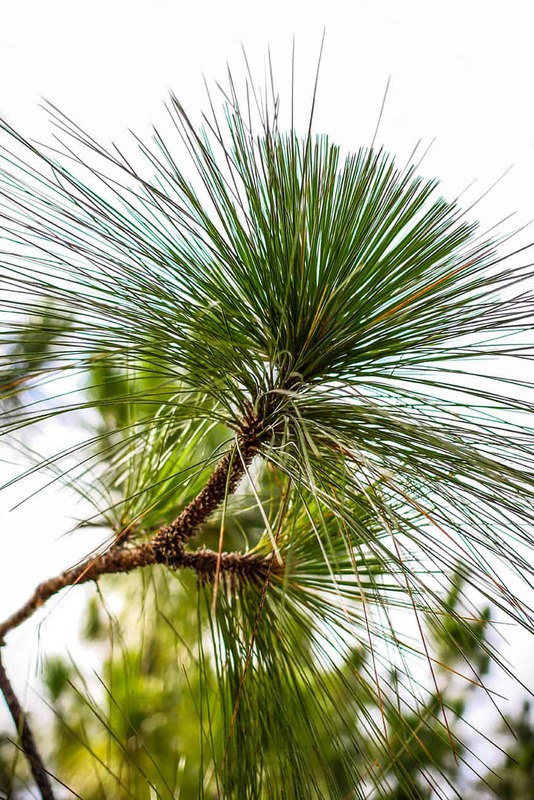 To read more about longleaf pines, CLICK HERE. To keep a longleaf forest healthy, we perform what are called Prescribed Fires, or Control Burns. A pre-determined area of land is intentionally set on fire and allowed to burn. The burn crew prepares paths around the area that the fire will not easily cross, and then using wind direction and other conditions, they ignite the fire and monitor it as it moves across the burn area. The results of regular fire in a longleaf community are nothing short of amazing. Grasses and shrubs sprout within days of a burn. Many plants, such as wiregrass (aristida stricta) only go to seed in the autumn following a spring or summer burn. Fire keeps the understory open, giving the wide diversity of plants and wildlife space to grow and flourish. Within a few short months, a burned area regenerates new life. Want to know more about Prescribed Fire? From left: right after a burn, 1 month after a burn, and 3 months after a burn. Through the central part of the Preserve is a cypress dome wetland. In this area, rainfall drains and percolates back into the ground to replenish the Floridan aquifer – the underground source of our drinking water. We participate in the perpetual conservation of this lush, sensitive system by limiting human access to or through it, as well as maintaining a broad buffer around the edges. Cypress trees in Florida – both bald cypress and the pond cypress found at Heartwood – are deciduous conifers. Despite the common perception that Florida has no seasonal changes, cypress foliage turns deep orange in the fall, drops its leaves in winter, and heralds the spring with new feathery green needles. Another benefit of the Preserve is the vital role it plays in assuring that the Gulf of Mexico receives the clean, fresh water needed to maintain the long-term health of the coastal estuaries. Located adjacent to the Jay B. Starkey Wilderness Park, Heartwood Preserve serves as a natural buffer for one of the region’s main freshwater resources, the Anclote River. Without this fresh water, the estuaries could not support the life cycle of a great variety of native bird species, indispensable aquatic plants such as sea grass, and popular fish species, including redfish, sea trout and mullet.